These are extra subjects that CMS provides as standard alongside the other curriculum. Art is incorporated in all of our classroom environments. Our elementary program has an art instructor who meets with each grade level once a week. The students are presented lessons in art in which various art media and techniques are introduced. Computer instruction is available to all elementary students. Kindergartners get exposure to technology in their classrooms. Country Montessori School’s computer instructor presents lessons in computer skills and appropriate software. Students attend computer class one time a week. Music is incorporated into all classroom environments. In the Early Childhood (Preschool and Kindergarten) levels, singing and movement happens weekly. In addition along with the elementary levels, the students have weekly music instruction given by a specialized teacher. The teacher provides children with a warm, nurturing, safe, and loving environment in which Montessori students are presented with music instruction that includes singing, movement, theory, exposure to instruments and music history. In addition, all students prepare and participate in an annual Spring Fling performance. We offer a Physical Education program for all Elementary students and for Kindergartners. They receive a well-rounded education with the appropriate amount of state required minutes of instruction. 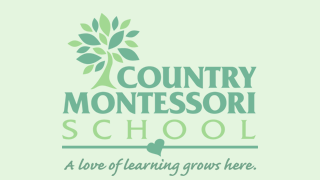 Country Montessori School’s Physical Education Instructor provides children with a program that helps promote the development of the student’s physical attributes and social skills. Students of all ages and levels are offered Spanish instruction. Our Spanish instructor approaches her lessons from a cultural, innovative and accurate aspect. The curriculum is rigorous and is aligned to the Montessori curriculum. Students attend up to two or three times a week, depending on their level.